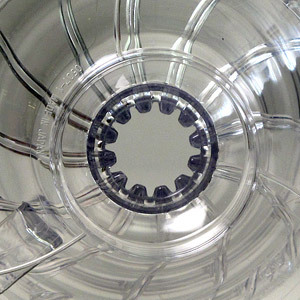 Hario of Japan manufactures these clear, plastic filtercones with several simple, technological advantages. Hario filtercones are widely used by coffee professionals and aficionados. Filtercones come boxed and are furnished with a measuring scoop. We offer the 2 cup size only. Paper filters, in packages of 100 are offered separately in each size. Hario filtercones are also available in ceramic and glass.